The Lucid Art Foundation encourages exploration of nonrepresentational art through multimedia, conceptual, ecological, and interdisciplinary approaches. Artists will have the opportunity to explore the practice of lucid art, with special emphasis on the integration of art, process, and inner awareness. 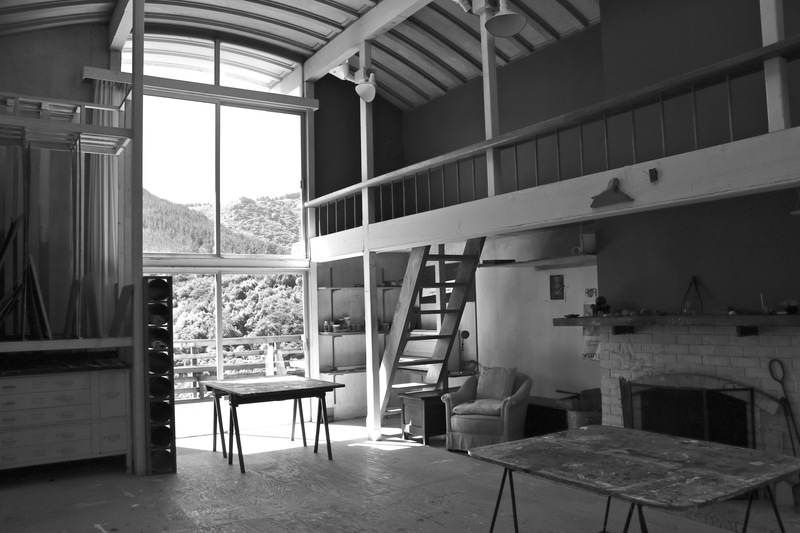 The residency provides a space to live in (the former studio of the late writer Jacqueline Johnson) and a 650-square-foot art studio called “the Ark.” The Ark was built in 1960 and was a former studio of the painter Gordon Onslow Ford and mixed media artist Fariba Bogzaran. There is also a print shop with a Sturges press available for use by artists who are experienced printmakers. Only water based mediums may be used on the press. During the residency, artists will have a weekly luncheon at the home of Gordon Onslow Ford with food prepared from local organic ingredients tailored to the artists eating preferences. The artist will aslo have the opportunity to meet and dialogue with a Lucid Art faculty member who will give feedback on the work created during the residency. Artists will have access to the Foundation’s extensive Library Resource Center. The Library contains books by many modern, surrealist, and contemporary artists. For visual artists ten images of work created within the last two years and one video [max 60 mb] or one audio file [max 30 mb] from the last two years for new media/video, music composition and choreography. For New Genre applicants please provide link to your website for additional access to video, and/or audio files in the Project Proposal section of the application.